Prospective candidate needs to be child friendly and engage the kids in an innovative way. it is a job like student counsellor to interact with students as well as the trainers.should be good enough to handle the calls and email with a good communication skills. Job Description- Recruitment procedure, handling Office Administration activities & Man Management and Marketing management activities. We are looking for freshers girls who are looking for her career as a trainer. We are looking for a Maths Faculty who can take Maths classes for SSC, Railways, Banking and NDA students. He/ She should have min 3 years experience of teaching in similar Institute. Urgent Requirement of Teachers for Home Tution For All Subjects Must have good subject knowledge and good communication skills Male/female Fre /Exp Interested person can contact on 7835863242. Visit our website on www.geetacoachingclasses.com and fill tutors form for quick response. You need to give training to new join person. Immediate opening- Required trainer in the following fields for the institute PS Informatics hoshiarpur: Computer: Graphic Designer with skill set of Photoshop, Corel draw, Illustrator Mechanical AutoCad, Solidworls, Catia, Creo Civil Autocad, StaadPro, Revit, 3ds max Candidate containing any of above technologies can apply for the job. Candidate with more technology knowledge will be prefered. Freshers can also apply. candidate can join as full time or part time trainer. 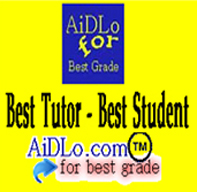 AiDLo provide online tutoring services and home tution. So we need Online Tutor and Home Tutor for all subject. You should have minimum graduate and good teaching experience in your subjects. Please apply with complete details. Only genuine candidate will consider. JOB PURPOSE Responsible for managing the Training delivery, Center Management. CRITICAL ACCOUNTABILITIES Plans, organizes and executes all activities in Training Center. To ensure high quality of training. Responsible for Center Administration and Reputation. Regular reporting with respect to training operations, administration and accounts. FSC TOURISM SERVICES PVT LTD, one of the fast growing company in Travel & Tourism, is providing home based business opportunity. We need committed & result-oriented people who can join hands with us & contribute in the promotion & success of our BUSINESS. Earn HUGE benefits in form of INCOME (weekly/monthly), FREEBIES & an excellent opportunity to BUILD your own NETWORK & VISIBILITY in the TOURISM sector. Come & work in a no target, no selling, no work pressure, no time boundation & no boss environment. Kindly provide your email ID & contact no while replying. Thank you! Expertise in complete SEO management across multiple search engines. Proactively manage keyword identification with all the relevant tools and the ability to communicate/interact with clients. Continuously monitor SEO status of assigned websites for opportunities and updates SEO experience will include excellent knowledge of search engine technology Develop, execute and maintain link building activities Familiarity and control over SEO reporting and web analytics tools Will be responsible to create monthly/weekly report for all our clients. Take part in submissions across the web Directories and article, directories, social bookmarking, blog and forum Submission to increase link popularity for websites and other SEO related activities. Job Type: International Role: Teacher Company Name: CF International Education Salary: Starting 50,000 (during probation) Upto 1 Lakh. Job Details: 1. School Name: CF International Education Center (for Children, female teacher will be preferred). 2. Location: Foshan City (Near Guangzhou), China 3. Industry: Education 4. Working Hours: 3 Days Off Per Week (Monday-Wednesday) / 16 Hours Per Week 5. Positions: English Language Teacher Benefits: 1. Working visa: Contact for Details. 2. Accommodation: FREE (Provided) 3. Other benefits: See job description. Requirements: 1. Nationality: British, American, Canadian, Australian, New Zealand, Irish, South African, German, French, South American, European, Russian, Indian, Other. 2. Age: 20 to 39 3. Experienced: Without/Without Experienced. Fresher's can also Apply (full training offered). 4. TEFL or Teaching Certificate: Required (No teaching certificate ? contact us). 5. Qualification Required: Any Graduate. Description: 1. CF International Education Center are successful English language centers. We take pride in providing effective English language education in a professional, friendly and relaxed environment. Our teachers are outward going, motivated and creative. 2. We have modern, well equipped classrooms and utilize progressive teaching techniques. Our philosophy and style is based on current developments in education knowledge, focusing on communication abilities. 3. All our classes are kept small and have a Chinese assistant teacher to ensure optimal learning conditions for the students. This also means a more enjoyable and rewarding experience for our teachers, who get to know the students well and can see the results of their efforts. We also provide ongoing training and support for our teachers. 4. We require English language teachers to start working immediately. You can enjoy bonus after one year contract, free accommodation is offered. 5. You will have 3 days off per week (Monwed), 16 hours per week. You will have classes on Thursday and Friday afternoons and at weekends. One hour for teacher meeting per week. The Students are ages from 5-15 year old. This is an excellent opportunity to join a successful, friendly team and experience the rich and diverse culture of China. Online interview is also accepted via Skype but in person interview is preferred. Rush your updated resume to johnkinth@gmail.com along with one of your latest clear photo. Require Trainer for Hadoop urgently on Sharing basis.